Having several crew changes at the start of the term, we had got a couple of solid weeks of training in and were ready to go out and show the rest of the river what we were made of. We had a slight technical issue on the way down – the rudder string snapped – but we stopped and worked out we should be OK with it as it was, so carried on anyway. Because of this, the row down was slightly more tense than we would have hoped, but by the end we were back into our crew rhythm and ready to go. The race was from the Little Bridge to the Railings – so just around 1.2km. We had a really strong start and hit a nice rhythm going down First Post Reach. The commitment in the water was good and we were keeping the length well as a crew. Unfortunately it went a bit scrappy on Plough Reach when we were tiring, and we didn’t quite lift the rating back up to where we had been, so lost time in the second half. The pressure was still strong though, and we finished well. The times show we are definitely up there with the crews around us in Bumps, so we just have to make the most of the next few weeks and see what we can do! WNov A: [Cox] Jenny Shaw, [Bow] Chloe Kroeter,  Fiammetta Luino,  Nicola Runciman,  Helen Spriggs,  Yvonne Hackman,  Georgia Clements,  Clare Kitteringham, [Stroke] Sarah Williams. Another good term opener saw King’s M2 take first place in the Lower Mays category of the Cambridge Winter Head to Head. 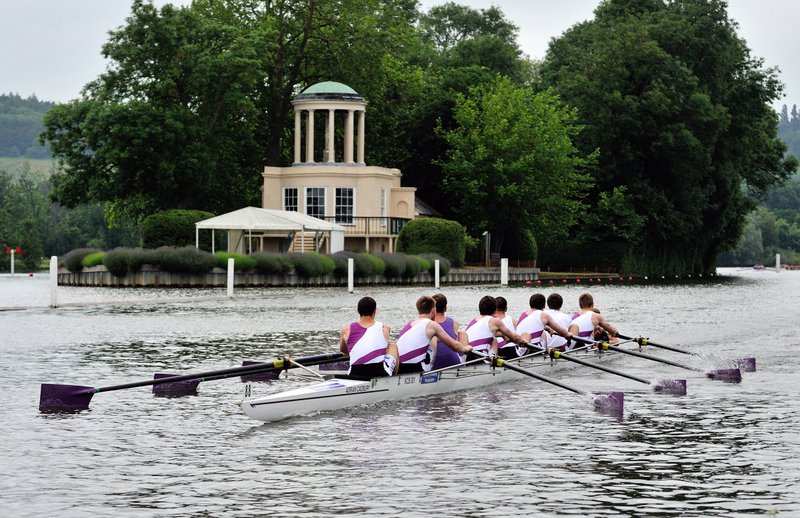 King’s M1 made a decent start to the Lent Term this weekend, with a reasonable performance at the Winter Head to Head. 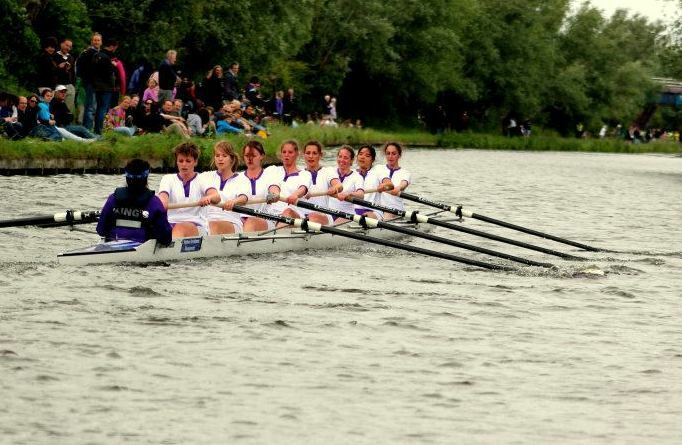 In the absence of our regular stern pair, our first run was a good technical row, but a bit casual at a low rate of 32. The second run was more dynamic with higher ratings and better responses to pushes. Nonetheless, the overall feeling was that the crew didn’t lay down much of its available grunt, and this is clearly something we’ll want to address over the coming weeks. Queens’ dominated the Mays 1st Division, making clear the challenges we face for bumps in a few weeks’ time. M1: [Cox] Kat Ailes, [Bow] Chris Lynch,  Rob Raine,  Ildar Gaisin,  Andriy Gordiychuk,  Patrick Goodbourn,  Paul Thomas,  Simon McKeating, [Stroke] Adam Bristow. 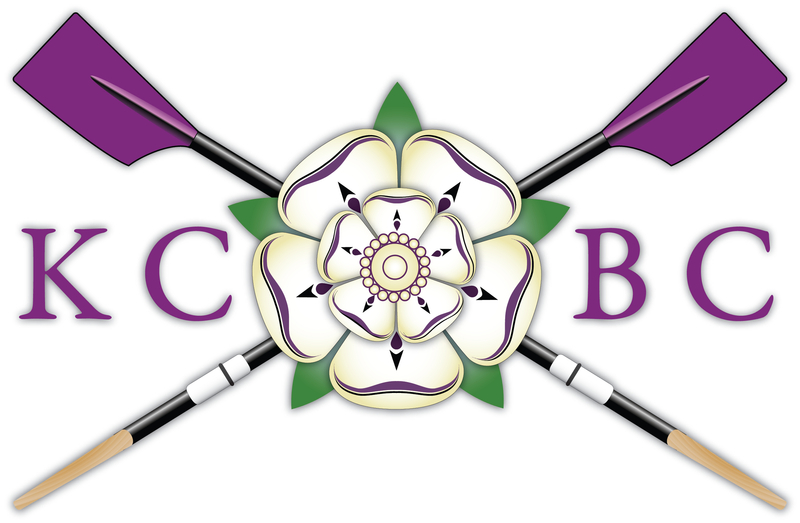 M2: [Cox] Kate McCutcheon, [Bow] Ollie Francis,  Elliot Carter,  Steve Smith,  Andriy Gordiychuk,  Harry Frankish,  Chris Perry,  Simon McKeating, [Stroke] George Stagg. M3: [Cox] Jenny O’Hare, [Bow] Mateusz Drozdzynski,  Kelvin Xu,  Reuben Shiels,  Rutger Grisel,  Benj Crawford-Sharpe,  Faraz Dianat,  Volker Schlue, [Stroke] Will Miller.